Neill is an excellent driving instructor. I had some driving lessons many years ago, but for various reasons didn't get around to taking a test and subsequently forgot everything. I set myself a goal to pass before my 30th birthday in December, and signed up for a LDC Test Booster course with Neill. 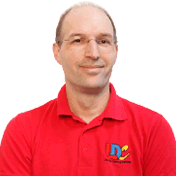 Neill is a friendly, professional and extremely knowledgeable instructor. He has a wealth of experience teaching at a very high standard and he is great at passing this knowledge on and giving tips on how best to handle different situations. His situational awareness is second to none and he seemed to be able to predict what other drivers were going to do before they even knew themselves. I felt that my road awareness, anticipation and confidence improved massively during my lessons with Neill. The LDC workbook and DVD that he provided were very useful and helped me to consolidate everything that I had learnt in the lessons. 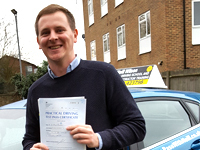 Within several lessons with Neill I went from being a nervous learner to becoming a safe and competent driver. My driving test went really smoothly and the examiner even remarked that “your instructor has done a great job.” I can't pay a higher compliment than that!